Sit back, relax and enjoy the subtlety of a Stamford Black Angel's Touch Incense Stick, as the aroma..
Let the sensuous aromas of these Stamford Black Demon's Lust Incense Sticks guide you into a world o..
Transport yourself to a land of mystery and calm with this unique blend of hot perfumes created by t.. 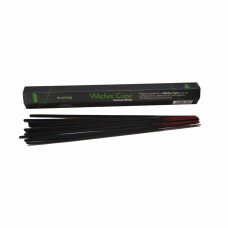 Fill the air with a mystical sense of calm and let this Stamford Black Fairy's Mist Incense Stick gu..
Be drawn into the Goblins Lair with these Stamford Black Goblin's Lair incense sticks with a mischie.. 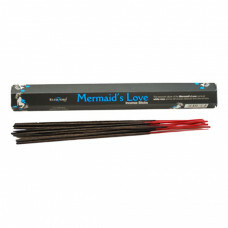 The innocent allure of these Stamford Black Mermaid's Love incense sticks sensual white rose aroma w.. 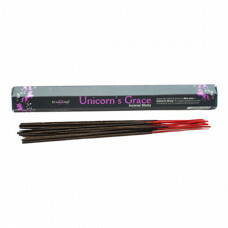 The magical aroma of vanilla in these Stamford Black Pixies Dance incense sticks will jive and whisk..
Adore the mythical aroma of Aloe Vera in these Stamford Black Unicorn's Grace incense sticks, its ma..
Heighten your senses and create an inner feeling of power and control as you burn these Stamford Bla.. 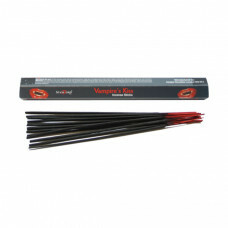 Sense the strength and grip of frankincense and myrrh in these Stamford Black Werewolf's Bite incens..
Release yourself with a Stamford Black Witches Curse Incense Stick and its purifying aroma, clearing.. 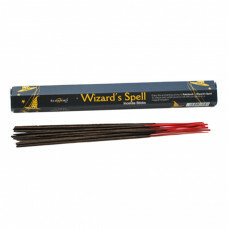 Enjoy the enchanting aroma of Patchouli in these Stamford Black Wizards Spell incense sticks, its un..